This required Summary of the Chicago Residential Landlord Tenant Ordinance must be attached to some leases for properties within Chicago. Being a landlord can quickly become a complicated endeavor. Beyond securing your rental property and vetting prospective tenants, there are so many other eventualities and regulations to consider. It is important for you to know your rights and responsibilities as a landlord in Chicago. The City of Chicago Residential Landlord and Tenant Ordinance is a critical guide to the ins and outs of the landlord-tenant agreement, and it outlines the rules and responsibilities of each party. This informational document includes details on the ordinance including what it is, what rental units are covered by it, the general duties of the ordinance, when the ordinance must be provided and to whom. The Summary of the Chicago Residential Landlord Tenant Ordinance covers a variety of issues that may come up during your tenant’s lease term. It provides an overview of the landlord’s general duties on a broad scale. It also outlines specific safety issues, such as minimum acceptable strength for a porch or deck, and the responsibility for smoke and carbon monoxide batteries. What happens when a tenant makes a late rent payment, or misses a payment altogether? What recourse does the landlord have? This document informs you of the legal responses to that infraction. What happens in the event of a fire in the unit? Are there essential services that you must provide as a landlord? This document has the answers to many of the important questions that may arise, and addresses other essential topics such as security deposits, subleases, attorney’s fees and much more! A copy of this summary shall be attached to certain leases as described in the Chicago Landlord and Tenant Ordinance Summary. 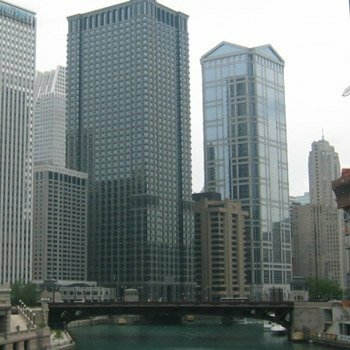 Familiarizing yourself and your tenant to this document will help you both understand the regulatory framework for the city of Chicago, and hopefully allow your tenant-landlord relationship to proceed smoothly. It is especially important for Chicago landlords to understand this ordinance clearly to be sure to be in compliance.